He will start at 19.00 with his performance, followed by a small break and the presentation of Stefan Majakowski’s movie night. [Money is a pain, only a few can gain. Money is for supper, excess and clutter. “GONE FOR GOLD” is an allegorical critique of the contemporary American condition of wondering and wandering. This searching is generated from questions of what constitutes value in the face of the many discouraging social and economic crises. Not only is the obvious topic of money in the script of this performance, it is joined by multiple issues seeking forms of justice through understanding and action. These include the forms of prejudice located in and around gender, race, sexual orientation, and class. The narrative in “GONE FOR GOLD” is comprised of spoken rhyming verse combined with seven songs, symbolizing a deeper navigation of an advanced society and its conflicted morals. Much like the Dadaists of the early 20th century TMO LIVE! performs in the cabaret style to merge politics and entertainment with the intent of activating change within the audiences he engages. Called an “interdisciplinary gospel immortalist” by Kembra Pfahler, Tyler Matthew Oyer was born in Pennsylvania and currently lives and works in Los Angeles. He received his MFA from California Institute of the Arts in 2012 and will tour his performance persona TMO LIVE! 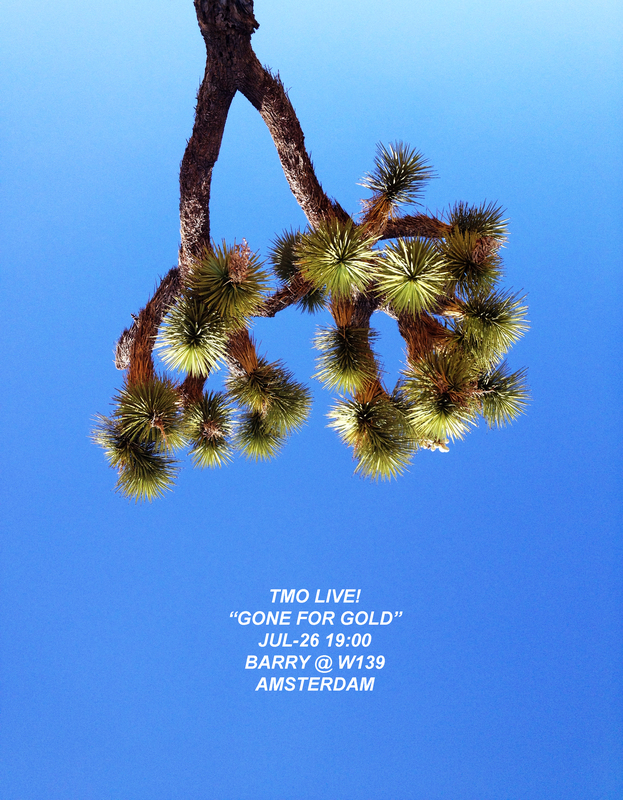 throughout Europe this coming summer in his new show “GONE FOR GOLD”. His work has been presented in Los Angeles, New York, Miami, Washington DC, Santa Barbara, Philadelphia, and Varna, Bulgaria. His one-man performance “Hello, Dolly!” was part of Andrea Zittel’s 2011 High Desert Test Sites event. Marta Becket of the Amargosa Opera House in Death Valley Junction once said “Tyler looks like a performer”.